Some say mealtime is more elegant with flowers on the table, and the folks at local flower farm Anthomania would likely agree. Growing over 300 different kinds of flowers ranging from snapdragons to anemones to flowering herbs like basil and pineapple sage, Anthomania is central Virginia’s floral hotspot - a flower authority if ever there were one. It’s a fact: Farming isn’t for the fainthearted. Spending long hours outdoors, dealing with unpredictable weather, and battling incessant weeds and pests requires commitment and hard work. But for some farmers, running a successful, local farm is a childhood dream come true. 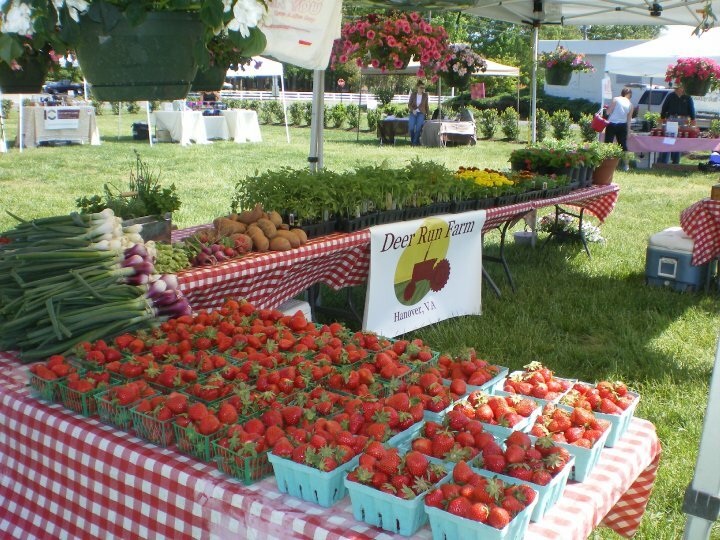 For Bob Jones, one of the two owners of Newcastle Bee & Berry Farm in Louisa, Virginia, the dream of providing his neighborhood with tasty local strawberries started when he was just eight years old. With sweet childhood memories of venturing across the street into his aunt’s strawberry patch each spring to steal plump berries straight off the vine, Bob knew early on that he wanted to continue the tradition of having a neighborhood strawberry patch. Decades later, Bob and Newcastle Bee & Berry co-owner Debbie Ryman are still fueled by the desire to share the joys of pick-your-own berry harvesting with the next generation. SHOULD WE SPRAY? NO WAY! Though they’ve faced critics who told them they couldn’t succeed without using commercial chemicals, Bob and Debbie recognized that spraying their plants wasn’t an option if they wanted a safe, non-toxic, pick-your-own patch. Citing a need to keep plants, bees, and berry lovers safe from the toxic chemicals found in commercial pesticides, they stood strong in their commitment to a no-spray approach. Thanks to their commitment to their dream, today Newcastle Bee & Berry Farm provides the same safe, sweet berry-picking experience that sparked Bob’s dream so many years ago. Since Bob’s initial foray into farming back in the mid 80’s, Newcastle has branched out significantly from the original dream of a little local strawberry patch. Currently, they grow a wide array of veggies including corn, asparagus, onions, tomatoes, peppers, beets, turnips, lettuces, garlic, radishes, cucumbers, and pumpkins. Their berry offerings have also expanded beyond strawberries to include blueberries, blackberries, raspberries, elderberries, and even gooseberries. Visitors to Newcastle, which is open most days from 8am to 7pm (call to confirm hours and U-Pick availability! ), can also purchase potted plants, flower arrangements, and local honey from the farm. As is the case for many local farms, spreading the word about their diverse offerings is one of Newcastle Bee & Berry’s main challenges. Bob and Debbie are definitely open to test-driving new and unusual crops, but to make the effort worthwhile, they want to know there’s enough demand for what they grow. So they’re focused on finding new ways to connect with the community, local chefs, and RVA foodies to identify what consumers really want. Their partnership with Making It Real is a perfect example, allowing them to showcase their local, organic approach while also receiving feedback on new types of high-demand produce. Though they’ve already come a long way from a simple strawberry patch, Bob and Debbie aren’t done dreaming yet. Their plans for the future of Newcastle Bee & Berry include adding another high tunnel as well as a 60-foot greenhouse, expanding the blackberry patch to include several more rows, fencing in an area for goats (already on the farm) and cattle (a future addition), and eventually building a barn that will house a cooling room for berries and veggies, a dedicated area for creating flower arrangements, and plenty of space for classes focused on cooking, crafting, canning, and preserving. Both Bob and Debbie would also love to see the farm evolve into a bed and breakfast featuring delicious, homegrown berries for breakfast. 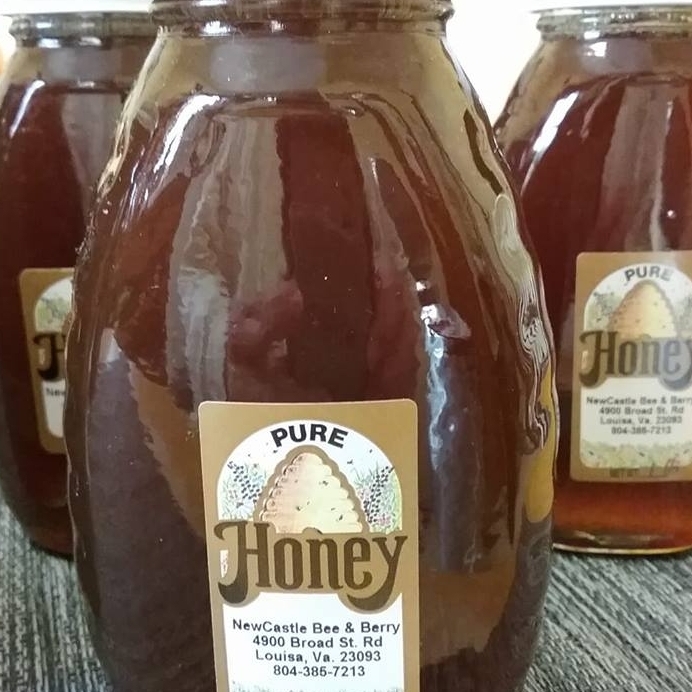 Want to support the dream over at Newcastle Bee & Berry Farm? You can! Gather the kids and grandparents, and plan a family-friendly berry-picking outing, or simply place your weekly order with Making It Real to bring homegrown deliciousness straight to your table. As we roll into the peak of summer, it’s time to take advantage of summer’s sweetness. Peaches and blackberries are ripe and delicious this time of year, and if you live in the Richmond, Virginia area, there are plenty of local places where you can pick your own fruit! When it comes to farming, nothing replaces good, old-fashioned, hands-on experience - almost 40 years of experience for the owners of this month’s featured farm. Deer Run Farm in Hanover, VA is run by husband and wife team Chris and Britney Rudolph, and though they’ve officially been in business since they purchased their land in King William County in 2005, their journey began far earlier. Farming runs in the family: Chris’ parents are also farmers, and the family-run Pleasant Fields Farm offered Chris and Britney an early opportunity for hands-on learning. Starting in 1979, they found their passion for farming, and when it came time to venture out on their own, they decided to keep family farming efforts close to home by purchasing the land literally across the street from Pleasant Fields. Though they purchased Deer Run Farm in 2005, it took a few years for the Rudolphs to ramp up production. After pursuing farming on the side for four years, tending to plants late in the afternoon and on weekends, they decided to go all in. Today, Chris, Britney and their two daughters, Emily and Sydney, tend the land together - a true family affair. While it remains to be seen whether either of the Rudolphs’ daughters will be interested in continuing the farm as a long-term plan, as with everything on the farm, time will tell. 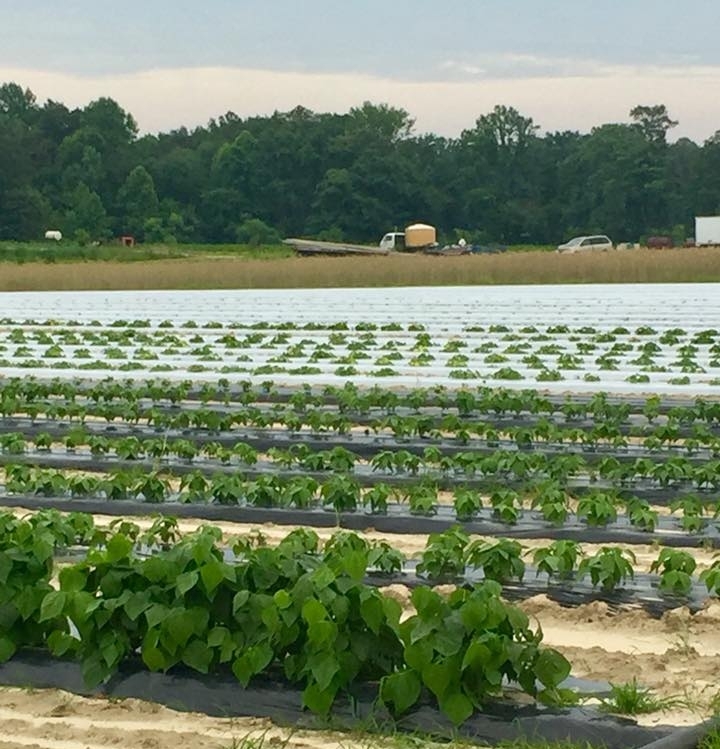 With nearly 100 acres of land in production today, the Rudolphs are able to grow a wide variety of produce, including heirloom and regular tomatoes, potatoes, beans, cucumbers, zucchini and squash, beets, onions, blueberries, peppers, and eggplant. In all, they grow over 40 different varieties of fruits and vegetables, and their offerings also extend beyond produce with local honey, herbs, eggs, flowers, and even hay. Though Deer Run Farm is considered a conventional farm, the Rudolphs pride themselves on curbing disease and supporting healthy plants the old-fashioned way. They strive for sustainability while also making the most of each planting and harvest. Regular crop rotation keeps both plants and soil happy and healthy; the family also employs trickle irrigation, an efficient and effective alternative to overhead watering. In overhead watering, up to 30 percent of the water evaporates before it reaches the root zone, and the moisture left on plants leaves them more susceptible to disease. Furthermore, because the soil is kept consistently and evenly moist, plants grown with a drip irrigation system often yield larger and more prolific vegetables. These tactics, coupled with the fervent requests from consumers not to spray their crops, make Deer Run Farm a far more sustainable environment than their conventional designation suggests. The Rudolphs’ willingness to meet their buyers’ demands for clean, untreated produce is admirable, especially given consumers’ desires for perfect and beautiful fruits and veggies, which are much harder to grow with organic methods. But thanks to partnerships with organic proponents like Ginger Rucker, owner and chef of Making It Real (who has been purchasing from Deer Run for over a decade), these local conventional farmers are listening, learning, and trying new techniques. Want to support Deer Run’s efforts? They’ve made it easy to do so by bringing their crops to market all around town. Seek out their booth at Birdhouse Farmers Market, Ashland Farmers Market, Manakin Market, or Lakeside Farmers’ Market, or snag their tasty fresh produce through the online co-op run by Fall Line Farms. With so many ways to access their produce, Deer Run Farm is practically bringing convenience to you. But you’ll still have to cook it yourself… unless you ask Making It Real to whip up a homemade meal full of Deer Run produce just for you! At the heart of every community is food. But local, organic food isn’t just food: it’s connection, collaboration, nutrition, and the heart-warming stories of those who lovingly grow and care for the plants and animals that provide the very best kind of nourishment. 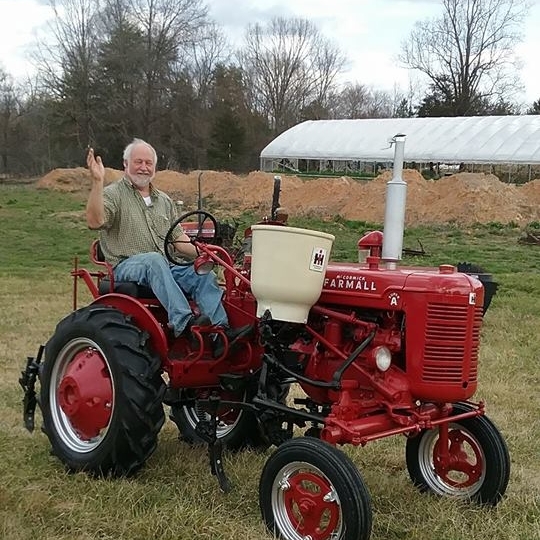 Connecting the RVA community with the farms that feed us is an integral part of the Making It Real mission, so we’re thrilled to introduce our very first featured farm: ShireFolk Farm in Palmyra, VA, located just 30 minutes west of Goochland!